Is Renting Your Home Better Than Selling? When it comes time to move, most people jump to the assumption that they must sell their current house first. But that’s not always the case. As long as you can afford to own two homes, renting your current one might make the most sense. Owning a rental property has some perks: it’ll give you predictable, long-term income; and if your home is in a good market, it’s an asset that will appreciate in value over time. But the job of landlord isn’t for everyone. Here’s how to decide if renting instead of selling is the right decision for you. Can You Afford to Own Two Homes? 1. Where will I get the down payment for my second home? 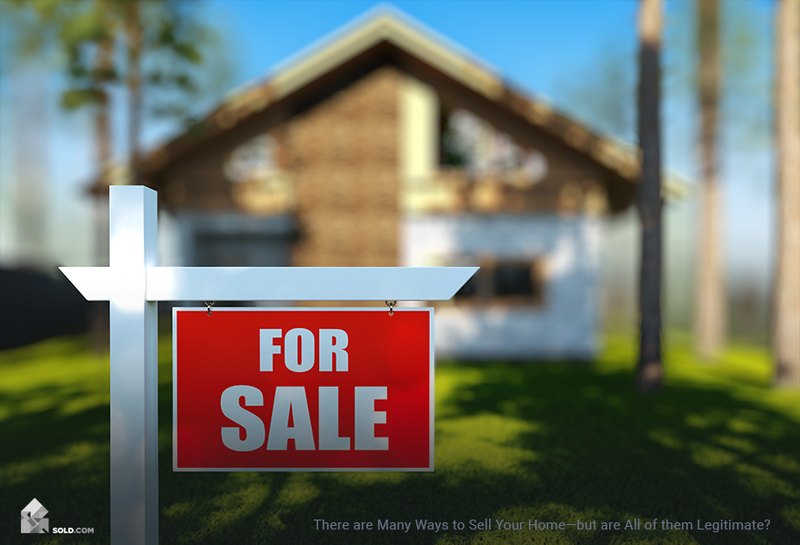 Most people use the sale proceeds from their current home as a down payment for their next. If you were counting on these funds to be able to purchase your next home, you probably can’t afford to own both. Even if you have some money saved for a down payment on the second house, keep in mind that in an expensive market, the larger the down payment, the more likely the seller of your new house will take your offer. So you may have to sell your current house to buy the new house you really want. You can pay off the mortgage on your first home without selling it. You can afford to carry two mortgages. You can rent your first home at a rate that covers one of your monthly mortgage payments, plus some left over for rental expenses. Many times property owners will depend on the rental income they receive to pay for one of their mortgages. 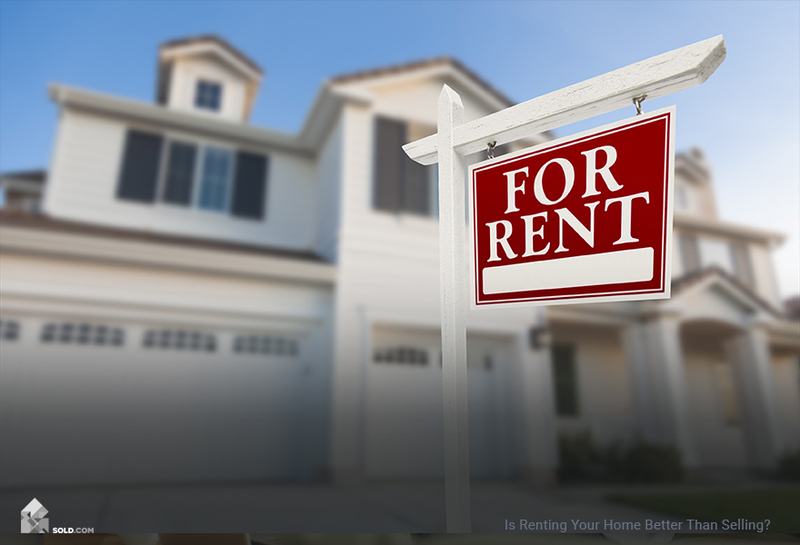 But that means rental rates in your market have to be high enough to cover your monthly payment with some left over to put toward repairs and maintenance, tenant turnover, homeowners insurance, annual property taxes, and any utilities you’ll be responsible for. To figure out if your rental income will cover your mortgage, search sites like Zillow and Trulia for comparable rental properties in your area. Average the monthly rent of three similar properties, multiply the answer by 12, then subtract 1-3% of your home value. Property managers recommend saving between 1-3% of the property value annually to cover the cost of repairs and maintenance and turning over the unit. You can put the money you’re saving for repairs and maintenance into a higher yield savings account. That way it will be working for you until the time that you need it. If You Can Afford a Second Home, Is It Worth It? 1. Will my current home appreciate in value? You don’t have a crystal ball and no one is expecting you to predict the future, but you can ask yourself whether or not your neighborhood is growing. Are there popular shops and restaurants nearby, or is two-thirds of the nearest shopping center vacant? If your community is vibrant and in a state of growth or renewal, it’s likely that your home will continue to appreciate in value and you’ll get a good return on the investment in the future. 2. Is there a steady source of tenants? The answer to this question will depend on the size and location of your home. If you own a two-bedroom condo in an urban area, your place will likely stay rented the majority of the time. If you own a five-bedroom house in a suburb thirty miles away from a major employment center, you’ll have a harder time finding tenants. So ask yourself: if you rent your home, who will the tenants be and why will they want to live in your home? Hiring a property management company can simplify your landlord duties. They will not only make all of the repairs necessary to get the house ready to rent, they will have a wider network in which to advertise the vacancy, and will take care of collecting rent. And because of their wide reach, they can usually rent your home more quickly than you would be able to do yourself. Ask about all their services and fees before signing up. 3. Do I have the time and resources to oversee a rental? If you’re remaining local, this will be easier and cheaper than trying to maintain a property from across the country. But even if you live down the street, being a landlord can mean being on call 24/7. Tenants will call you at all hours if something breaks or leaks, even if they are the ones at fault, and they will expect it to get fixed right away. If this sounds like a nightmare, check if you can you afford to hire a property manager to deal with it all for you. 4. Do I plan to return to the area? If you’re moving away for work or personal reasons but plan to move back to the area within a few years, it might make sense to keep your current home as a rental property. That way you have a place to come back to. Taking on a second home and potentially a second mortgage is a big investment of time and money and it’s not a decision that should be made lightly. Crunch the numbers and weigh your options, and once you’ve made a decision, use our other resources to help along that path.